For not making your husband’s coffee this morning. For yelling at your kids. For deciding to curl up in a fetal position all day rather than folding your laundry. Forgive yourself for your imperfections. For your humanity. For sitting on Tuesday when everything you want is on Thursday. 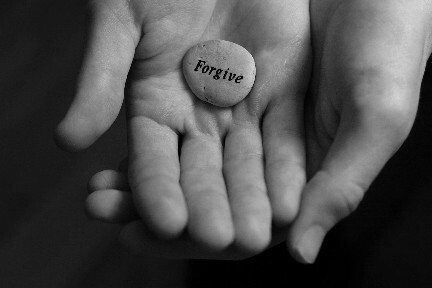 Forgive yourself for whatever harsh indictment you’ve been holding onto for years. For getting fired because you said something mean about Lori Markle in high school, even if you believed at the time it was true. It wasn’t nice and it wasn’t necessary. Just forgive yourself. It no longer matters. It doesn’t make you a bad person. It doesn’t go on your permanent record. Forgive yourself for not exercising today. For eating half a pan of brownies in one sitting. For spending thousands of dollars on fertility drugs and not being overwhelmed with joy when your baby arrives. For cheating on your husband. Forgive yourself for working at a job you hate because you are too afraid to quit. Forgive yourself for being afraid. For resenting your sister. For loving someone you wish you didn’t love. Forgive yourself because there is simply no hope of changing the past. 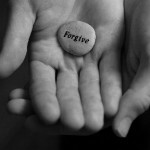 There is only the hope of living in a better future and in order to do that, you must forgive yourself in the present. Forgiveness is the deepest expression of love and compassion. It is a gift only you can give. And you deserve it.